Now have a look at the photo. 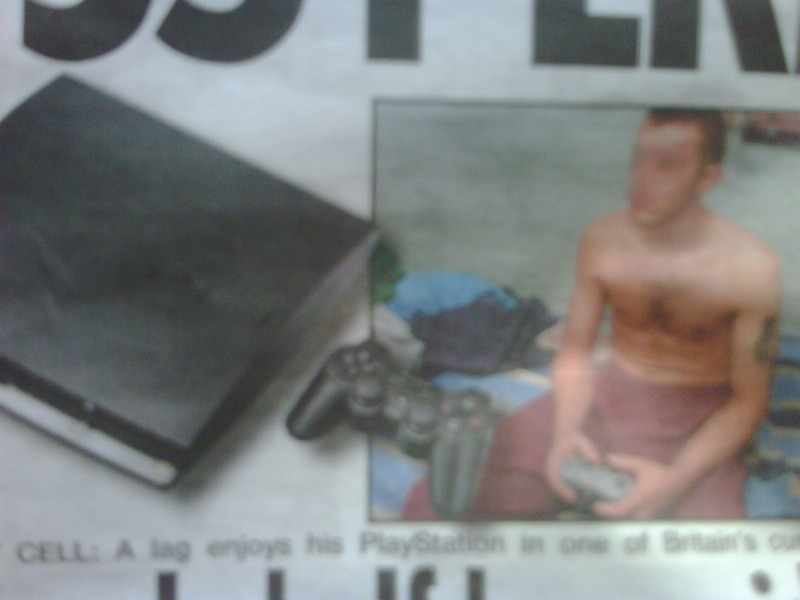 Thats not a PS3 controller the so called jailbird has. Its a PS1 controller. These are worth almost nothing now (selling for 99pence on ebay). 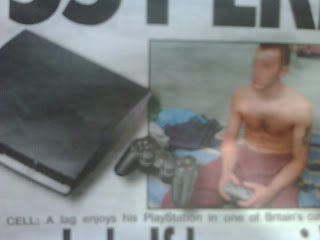 If you are going to claim that half are allowed Playstations PS3 at least show the prisoner with the right controller when mentioning the PS3 several times in the article. 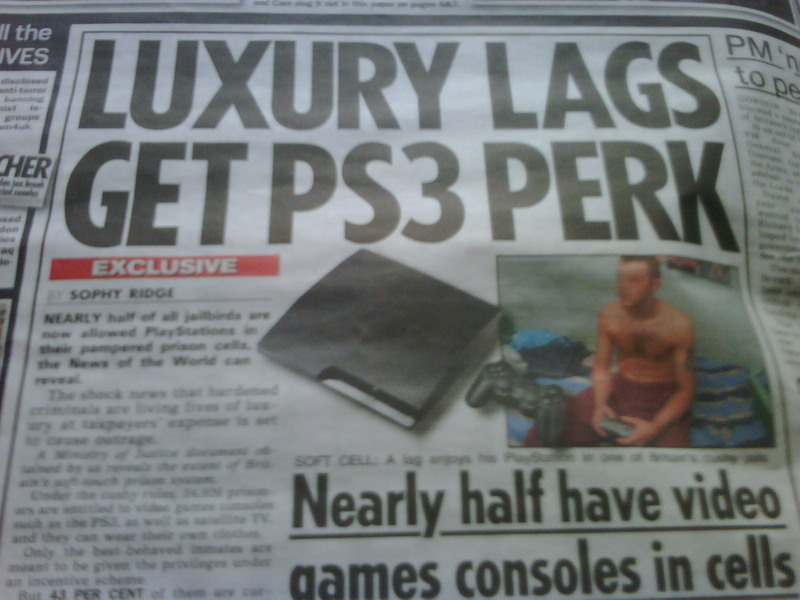 Prisoners are not being given PS3 at tax payers expense. They maybe given a console by friends or family or perhaps donated one. But they are not siting there playing PS3 all day. The other Story was in the Sun on bank holiday Monday called 'Unstable Cable' Catchy it maybe but the example in the headline is taken out of context. Where in October 2008 Vince Cable said 'It is entirely wrong for the government to stimulate the economy by yet more public spending' he was referring to the spending by the government should be on capital projects not on normal public expenditure. Where Vince Cable said in February 2009 'We believe the government stimulus is right and necessary' Vince Cable was talking about the quantitative easing program not public spending, too totally unrelated types of stimulus'. Yes Cable is not perfect but if you are going to attack him atleast use the right quotes otherwise you may as well make the story up. Vince Cable did not disagree with quantitative easing he simply warned about not over doing it he said 'Monetary easing may prove to be necessary but will have to be managed with great skill and care'. The situation in the economy was developing and Vince Cable did change some of his views based on the changing economic situation. I don't really see what wrong with that, surely its because politicians are not allowed to be fexlible that their hands become tied for fear of being seen to 'Unstable' and therefore can't respond as required by the situation. Its easier if your told how to vote because then you dont have to think about it.